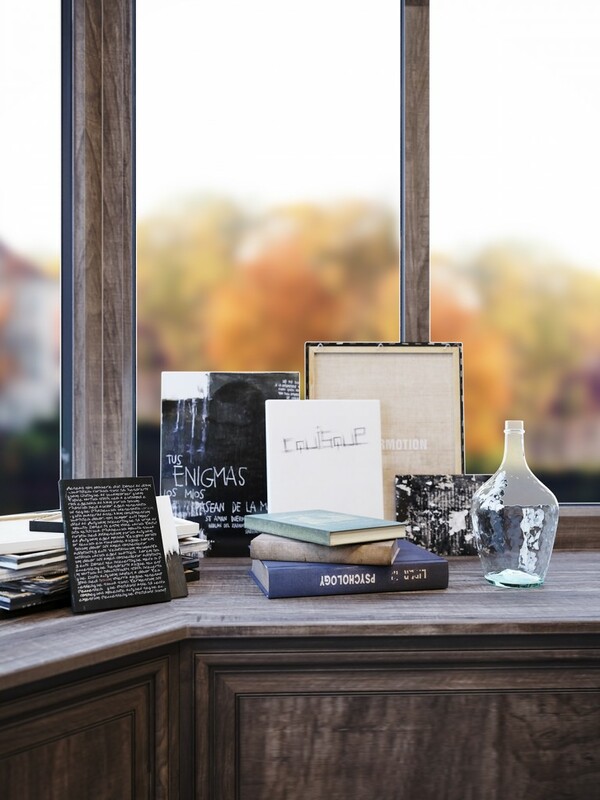 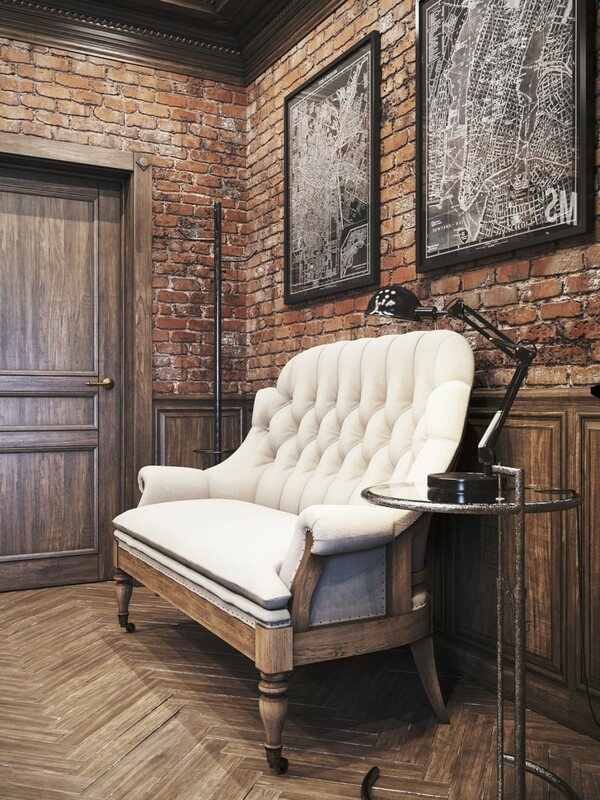 Creating a welcoming space with a slightly nostalgic air, with a bohemian ambiance and decor formed of old furniture, bare walls, books, old documents and white – black photos, all these are elements that might help to characterize the vintage style. 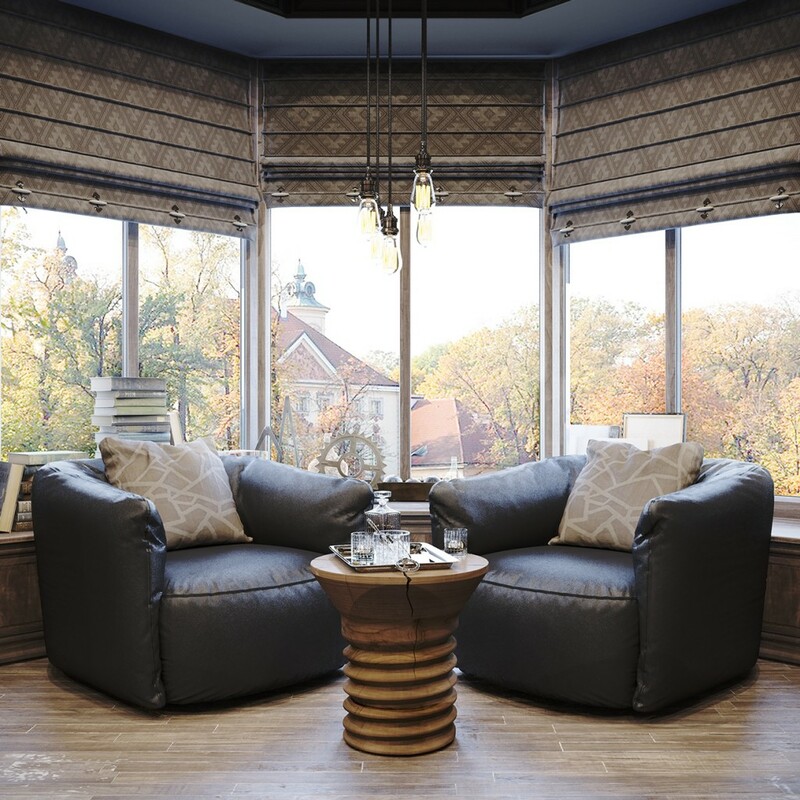 This style invites you to a journey back in time and it will always surround you with pieces of furniture that have a special story to tell. 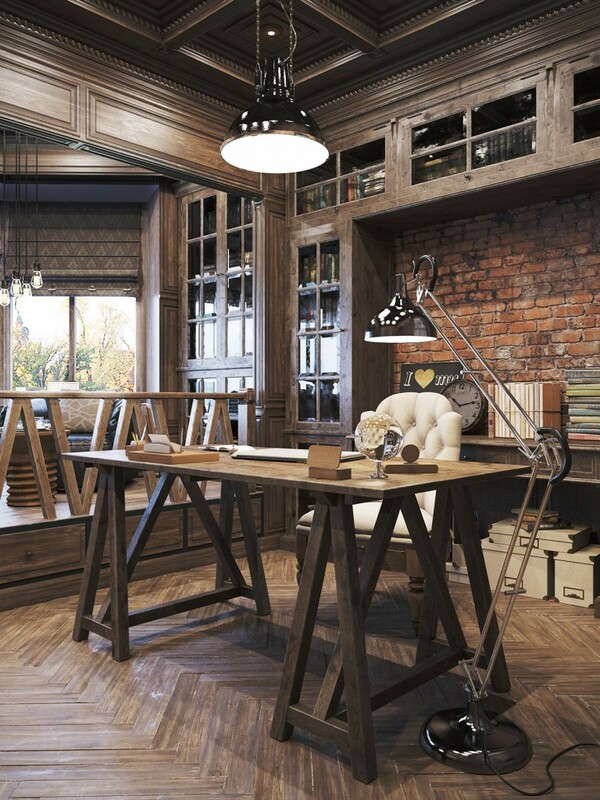 In order to enjoy the vintage style, I will present you a vintage office made in a private house by the young Russian designer Denis Krasikov. 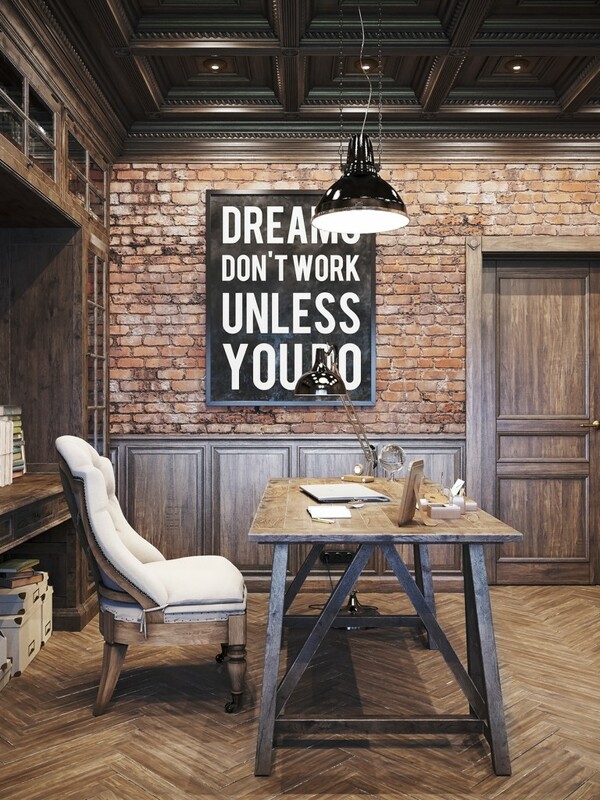 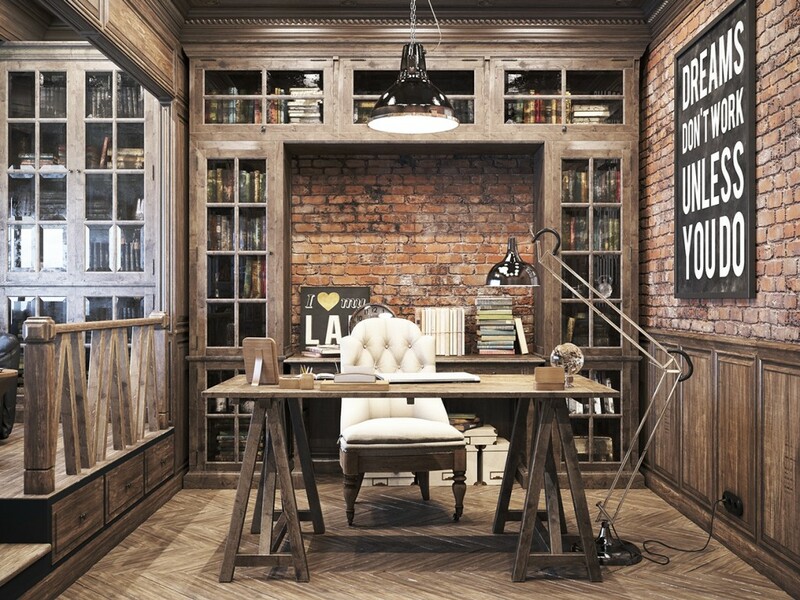 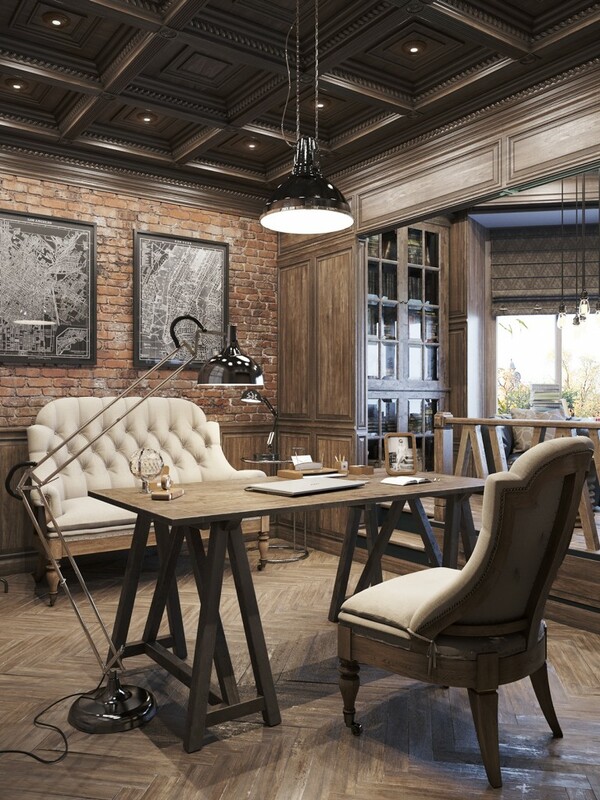 This office does not lack wood furniture, leather sofas and chairs, curtains and lighting elements in the old style, being an office with an accentuated masculine touch, close to the British vintage style.